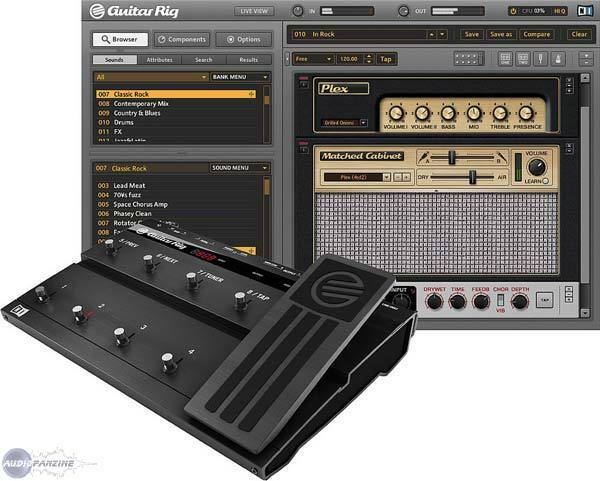 Guitar Rig 3, Software Amp Simulator from Native Instruments in the Guitar Rig series. Product replaced by the Native Instruments Guitar Rig 5 Kontrol. 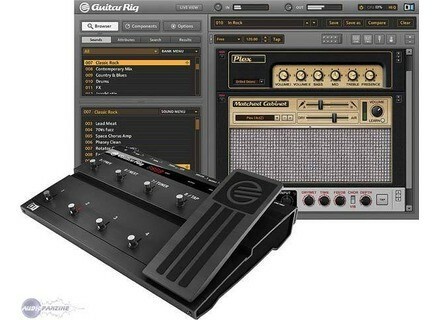 Native Instruments has released Guitar Rig v3.2, a free software update for the digital guitar studio. The update brings Windows Vista 64 compatibility to all versions of Guitar Rig 3, including XE and LE, and includes 64-bit drivers for the Rig Kontrol and Session I/O hardware. Further improvements in version 3.2 include a new MIDI input filter function, new mono plugin variants for AU and RTAS, reduced memory footprint, and various minor optimizations and fixes, according to NI. The 3.2 update also enables a third amplifier model and an additional effect unit in the LE version of Guitar Rig 3. The 3.2 update is now available as a free download for registered users of Guitar Rig 3, Guitar Rig 3 XE and Guitar Rig 3 LE. [NAMM] Akai MPK25 Akai Professional announces the MPK25, a new addition to its MPK series of keyboard controllers with MPC pads. Insert Piz Here Presents Mr. Alias 2 Insert Piz Here has announced the release of Mr. Alias 2, which is now open source and cross-platform. [NAMM] AAS Strum Electric GS-1 Applied Acoustics Systems will be launching an electric version of its Strum Acoustic GS-1 plug-in at the 2009 Winter NAMM Show.